Amy Howard has done an inspiring job of designing, manufacturing and launching her own original product. I personally use her french press on the go and can testify it’s a great, unique product. 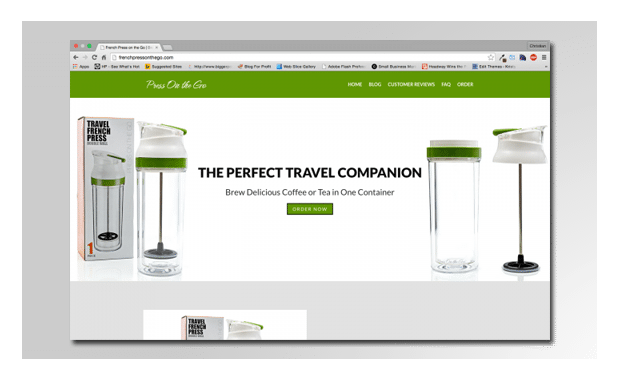 It’s easy to use and a must have for any coffee or tea lover 🙂 We’re helping her promote her product to the world, and we’re excited to see her launch more new products as she continues to grow her business!